Based in downtown Toronto, MaRS is North America’s largest urban innovation hub. We support more than 1,200 fast-growing Canadian ventures spanning four high-impact sectors – cleantech, health, fintech and enterprise software – providing them with expert advice and vital connections to talent, customers and capital. 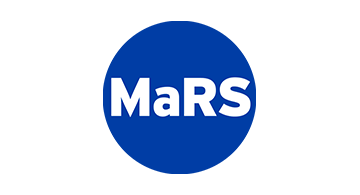 MaRS also works with government and corporate partners, helping them adopt and adapt to disruptive new technologies. For more information, see www.marsdd.com.